In August of 2017, another major breakthrough occurred when the Laser Interferometer Gravitational-Wave Observatory (LIGO) detected waves that were believed to be caused by a neutron star merger. Shortly thereafter, scientists at LIGO, Advanced Virgo, and the Fermi Gamma-ray Space Telescope were able to determine where in the sky this event (known as a kilonova) occurred. This source, known as GW170817/GRB, has been the target of many follow-up surveys since it was believed that the merge could have led to the formation of a black hole. According to a new study by a team that analyzed data from NASA’s Chandra X-ray Observatory since the event, scientists can now say with greater confidence that the merger created a new black hole in our galaxy. The study, titled “GW170817 Most Likely Made a Black Hole“, recently appeared in The Astrophysical Journal Letters. The study was led by David Pooley, an assistant professor in physics and astronomy at Trinity University, San Antonio, and included members from the University of Texas at Austin, the University of California, Berkeley, and Nazarbayev University’s Energetic Cosmos Laboratory in Kazakhstan. For the sake of their study, the team analyzed X-ray data from Chandra taken in the days, weeks, and months after the detection of gravitational waves by LIGO and gamma rays by NASA’s Fermi mission. While nearly every telescope in the world had observed the source, X-ray data was critical to understanding what happened after the two neutron stars collided. While a Chandra observation two to three days after the event failed to detect an X-ray source, subsequent observations taken 9, 15, and 16 days after the event resulted in detections. The source disappeared for a time as GW170817 passed behind the Sun, but additional observations were made about 110 and 160 days after the event, both of which showed significant brightening. 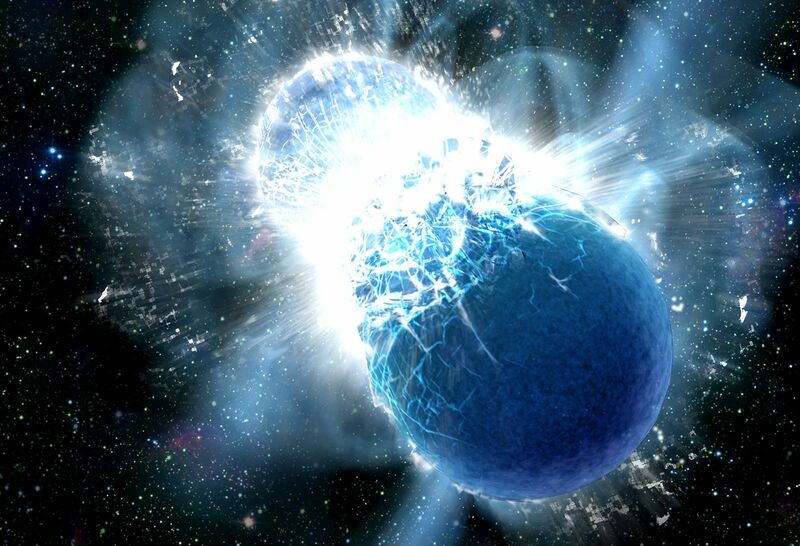 If the neutron stars merged to form a heavier neutron star, then astronomers would expect it to spin rapidly and generate and very strong magnetic field. This would have also created an expanded bubble of high-energy particles that would result in bright X-ray emissions. However, the Chandra data revealed X-ray emissions that were several hundred times lower than expected from a massive, rapidly-spinning neutron star. By comparing the Chandra observations with those by the NSF’s Karl G. Jansky Very Large Array (VLA), Pooley and his team were also able to deduce that the X-ray emission were due entirely to the shock wave caused by the merger smashing into surrounding gas. 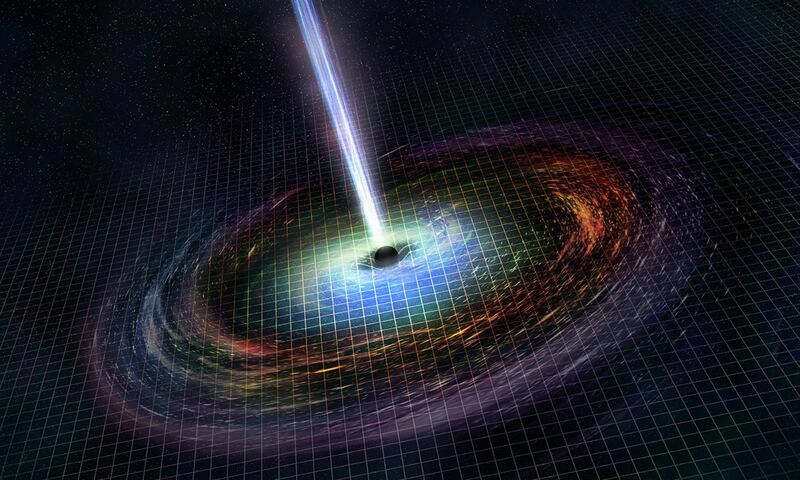 In short, there was no sign of X-rays resulting from a neutron star. Looking ahead, the claims put forward by Pooley and his colleagues could be tested by future X-ray and radio observations. Next-generation instruments – like the Square Kilometer Array (SKA) currently under construction in South Africa and Australia, and the ESA’s Advanced Telescope for High-ENergy Astrophysics (Athena+) – would be especially helpful in this regard. If the remnant turns out to be a massive neutron star with a strong magnetic field after all, then the source should get much brighter in the X-ray and radio wavelengths in the coming years as the high-energy bubble catches up with the decelerating shock wave. As the shock wave weakens, astronomers expect that it will continue to become fainter than it was when recently observed. If these follow-up observations find that a heavy neutron star is what resulted from the merger, this discovery would challenge theories about the structure of neutron stars and how massive they can get. On the other hand, if they find that it formed a tiny black hole, then it will challenge astronomers notions about the lower mass limits of black holes. 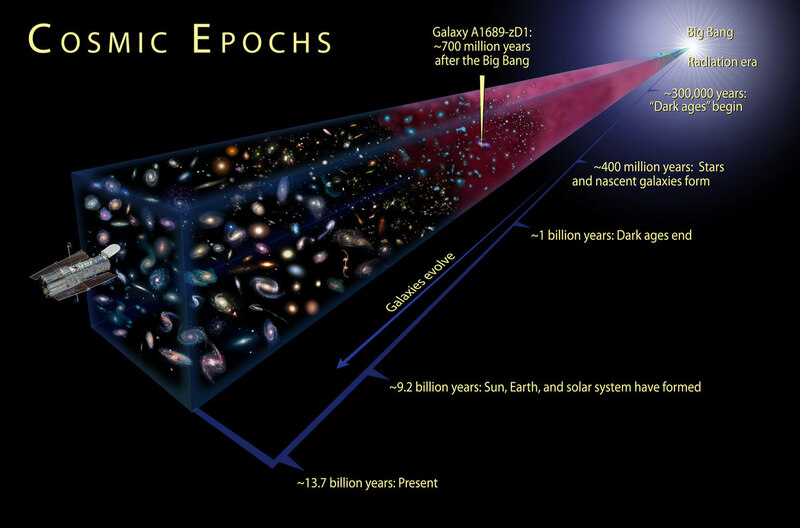 For astrophysicists, it’s basically a win-win scenario.